Have you been thinking about Jurassic World Costumes for Halloween? Maybe you and your family are huge Jurassic World fans or perhaps you have a little one that’s obsessed with dinosaurs? 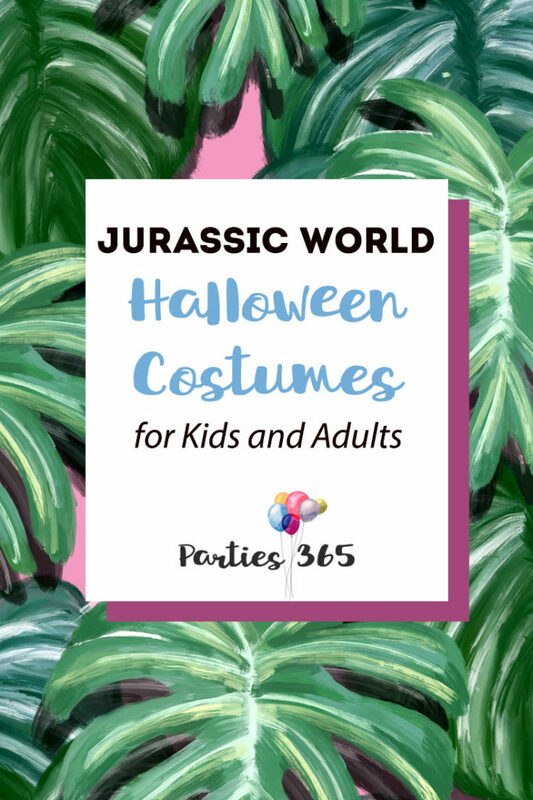 Either way, if you’ve been looking for Jurassic World Halloween Costumes or Dinosaur Halloween Costumes for yourself or your child, you’re in the right place! We’ve got the best of the best to make you the fiercest family on the block! Straight from the blockbuster movie, this costume will make you look like the terrifying beast who escaped from his pen. People will be running in fear and all havoc will break loose in the neighborhood! Sounds pretty great, right? When I came across this inflatable triceratops costume I was so excited! Not only because I love this dinosaur, but also because I feel like most people opt for a t-rex or a velociraptor, so with this you could really stand out! This T-Rex Costume not only stands almost 7 feet tall, but it also roars. I mean, how great is that for scaring every one on the block? And don’t forget Mom… she can be a dinosaur too, especially if it’s a hot pink t-rex! This inflatable dinosaur costume is also available in brown, green, red and yellow. Standing at approximately 7 ft tall, this imposing costume will fully transform you into a T-Rex. Hand and boot covers designed to look like claws help complete the look. This officially licensed Jurassic World Costume comes with a jumpsuit and headpiece to complete the look. And you can turn into Owen in this officially licensed Jurassic World Costume, complete with shirt, vest and pants. Alright… let’s make all of your child’s dinosaur dreams come true! 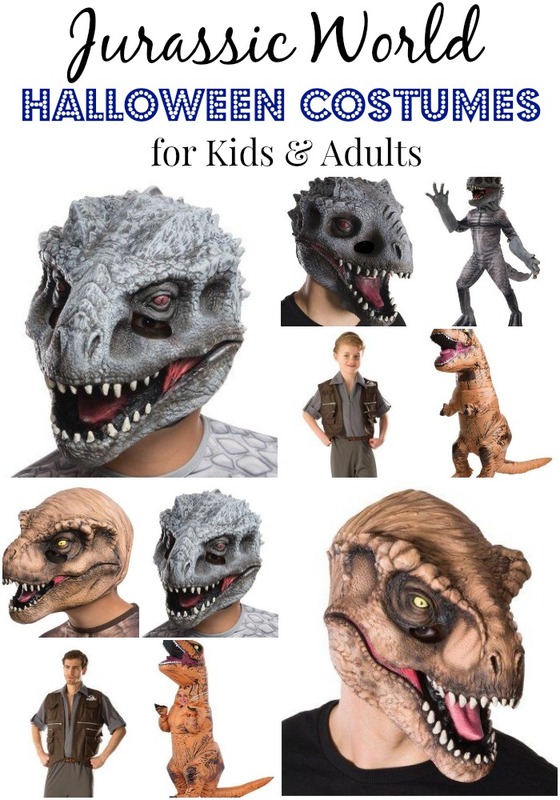 Here are some ferocious Jurassic World Halloween Costumes for your child. This Velociraptor Costume includes the mask, jumpsuit with shoe covers and a stuffable Tail. Transform your child into Indominus Rex in this jumpsuit with attached shoe covers and stuffable tail. The mask is included with this costume. There’s nothing better than being a T-Rex (according to my 3-year old of course)! Grab this costume and make that a reality for your little one! Talk about making your kid the hit of the Halloween party! When inflated this Jurassic World T-Rex is approximately 58″ tall and 18″ wide! I’m pretty sure a roaring Velociraptor costume will turn you into mom of the year!